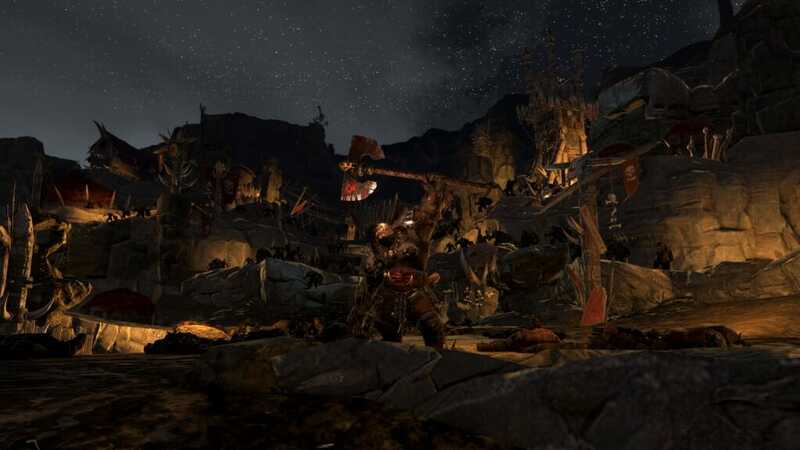 Horde gameplay The Beastmen offer a uniquely aggressive horde-style campaign game, carrying their infrastructure as they travel and never settling in the conventional fashion. 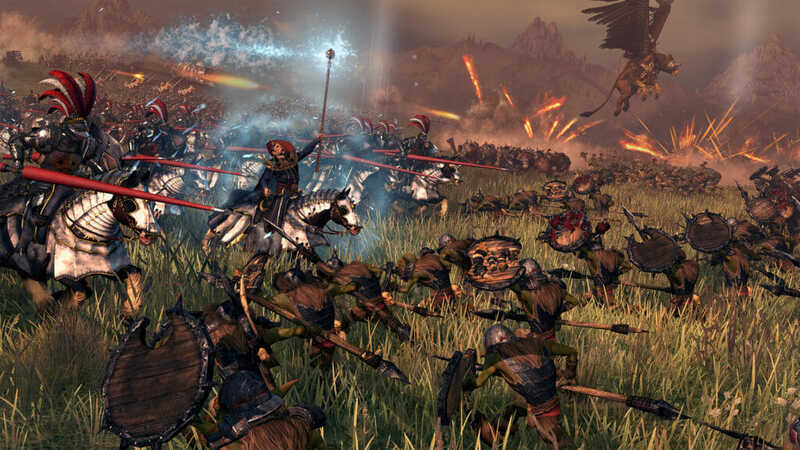 Unlike Chaos Warrior hordes however, all Beastmen units bear the Resilience passive ability. 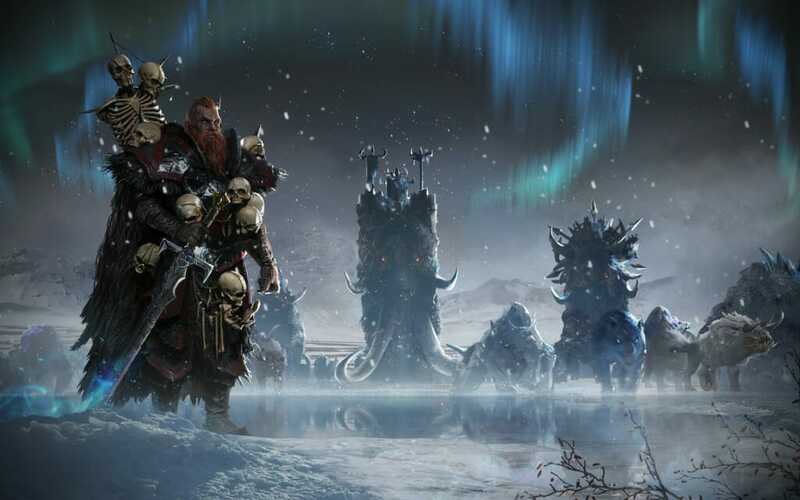 This makes them immune to the attrition caused by infighting when two or more hordes stand in close proximity, and promotes a more collaborative approach between hordes. Gorebull Gorebulls are hulking, twin-horned melee specialists – the very mightiest examples of Minotaurs. Combat prowess aside, they also boast newly-configured skill-trees offering strong specialisation options. These culminate in powerful passive and active support skills, which enhance the campaign and battle capabilities of any horde they join. Bray-Shaman Bray-Shamans are spellcaster Heroes, capable of employing The Lore of Death, The Lore of Beasts, or the bestial school of magic known only to The Beastmen, The Lore of The Wild. This Lore boasts a variety of unique Hexes, Augments and Magic Missiles, but arguably its most powerful spell is Savage Dominion, which enables the Bray-Shaman to summon a Cygor directly into the thick of battle! 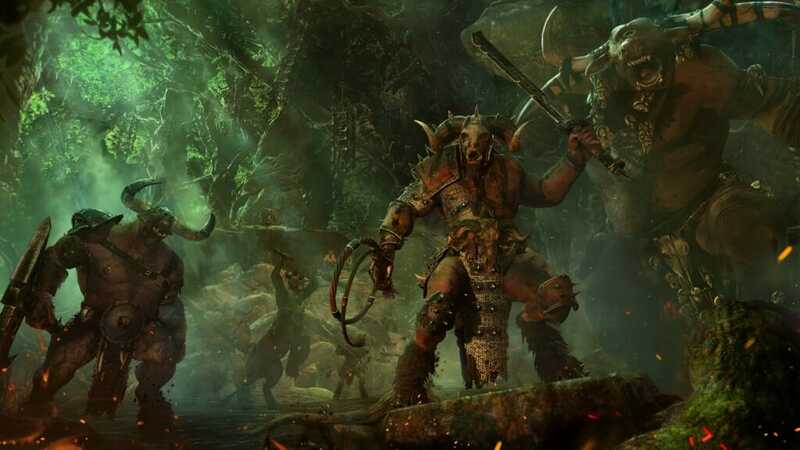 Resilience An ability common to all units in the Beastmen roster, Resilience prevents the attrition caused by infighting between hordes in close proximity on the Campaign map. Primal Fury Many Gor units (Ungors, Gors, Bestigors and Centigors) have the Primal Fury ability, which brings a constant active buff to their Speed, Charge Bonus and Melee Attack characteristics. Rowdy Centigors are emboldened when fighting, drinking and feasting together, although such ‘bravery’ is only temporary at best. In battle, they gain immunity to vigour-loss and a leadership bonus. If their morale begins to waver however, the Rowdy effect is lost. Bloodgreed The Minotaurs’ Bloodgreed makes them vicious combatants, and brings buffs to their Charge Bonus, Speed, Weapon Damage and Melee Attack characteristics. Soul Eater The towering bipedal Cygor feasts on the souls of wizards. Any spellcasters within range of a Cygor’s aura suffer an increased chance to miscast. Thunderous Charge The porcine, tusky bulk of the Razorgor makes for a Thunderous Charge, granting buffs to its Charge Speed and Charge Bonus characteristics. 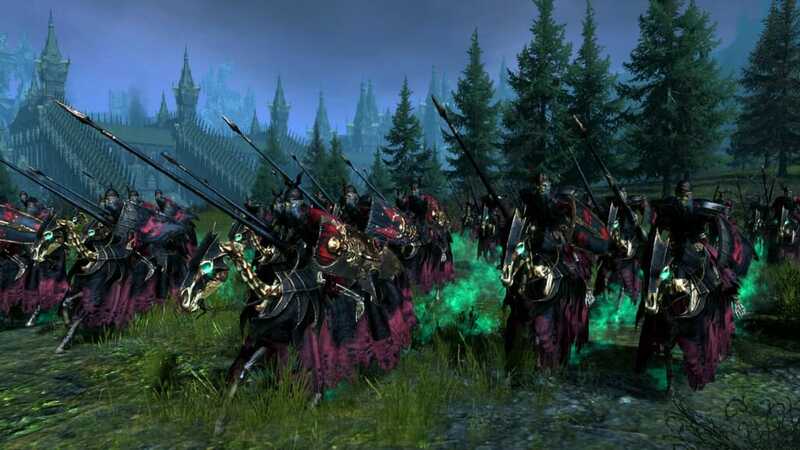 Vanguard Deployment While this ability is not unique to The Beastmen, the majority of units in the Beastmen roster have it. This means that large swathes of the army may be deployed outside the normal deployment zone and deep in the field, ready to close with the enemy and strike in very short order.